How to Setup PPTP in Fedora OS? You are here: Home Tutorials How to Setup PPTP in Fedora OS? There are very few Linux distributions which are favorite to the users because of being user friendly. Ubuntu and Fedora are perhaps the most used Linux distributions. Fedora is something which is preferred by more programming oriented population. However, the user-friendly environment for the OS is making it a real favorite when it comes to it being used in netbooks and other portable devices. One of the most important requirements for portable devices is the continuous access to the internet. This is where VPN is helpful. Virtual private networks give you an added layer of security. 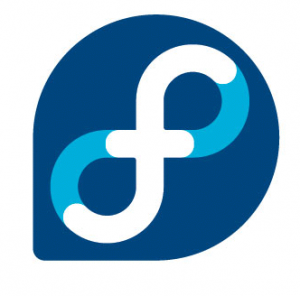 In this tutorial, we shall discuss how to setup PPTP (point to point tunnelling protocol) in Fedora. Before you can setup the PPTP in Fedora, you would have to download the package for PPTP. This is a fairly simple task. Go to System, then to administration and finally to Add/Remove Programs. Here, in the search field, enter PPTP. If you are connected to the internet, you would be prompted the NetworkManager VPN plug-in. Click the check box and click Apply. You would be prompted to install the package. Fedora will also prompt you to run the newly installed program. Close it to run it. After you have installed the PPTP package, click the NetworkManager applet. You would then have to click ‘VPN connections’ and then go to ‘Configure VPN’. You would then be taken to the page where you should find the Add button for the VPN. Click this, and you would be taken to the page where you would be asked to enter the details regarding your VPN service provider. Choose the VPN type, you should select PPTP type. Here you would have to enter the details. Here you would have to enter the VPN name, server address, username and password. In the authentication methods, select MSCHAPv2. And you are done! If you want to connect to the VPN, you would have to only click the VPN name. It is very important to use VPN service for all types of connections. Using VPN adds an extra layer of security to your browsing. Hopefully, using this tutorial, you would be able to setup VPN with your Fedora.